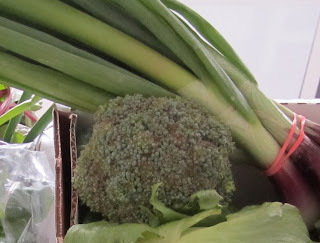 A couple of days ago I tried making some broccoli cheese soup using the broccoli we got in our weekly CSA share. I was a little apprehensive because I love broccoli soup and the last time I tried making it (a long, long time ago) the recipe I used (in Joy of Cooking ) had a step where you are supposed to puree your soup until smooth. Well, no matter how long I tried pureeing in my food processor, my soup turned out grainy and unappetizing. This time, I looked around online for lots of recipes and found some that call for pureeing and some that don't. I decided to make a non-pureeing recipe, where I would just add the broccoli florets at the end. My favorite-looking recipe called for putting shredded carrots in the soup too and I figured that if I was buying carrots to shred anyway, I might as well shred and steam extra to make baby food with (our pediatrician recommended shredding the carrots before steaming so that they don't need to steam as long). So, I started off with the carrots and while those were steaming I chopped the broccoli and came to a realization: I was going to be wasting a lot of broccoli stalks if I only used the florets and I figured that the stalks would add good flavor to my soup (after all...there are all those broccoli soup recipes that call for pureeing your soup after putting both florets and stalks into the soup). I decided that pureeing not the entire soup but just the vegetables might help to keep the soup smoother while adding great flavor. 1. Chop the very ends off broccoli stalks. Then cut the broccoli florets off and set aside in a medium bowl. 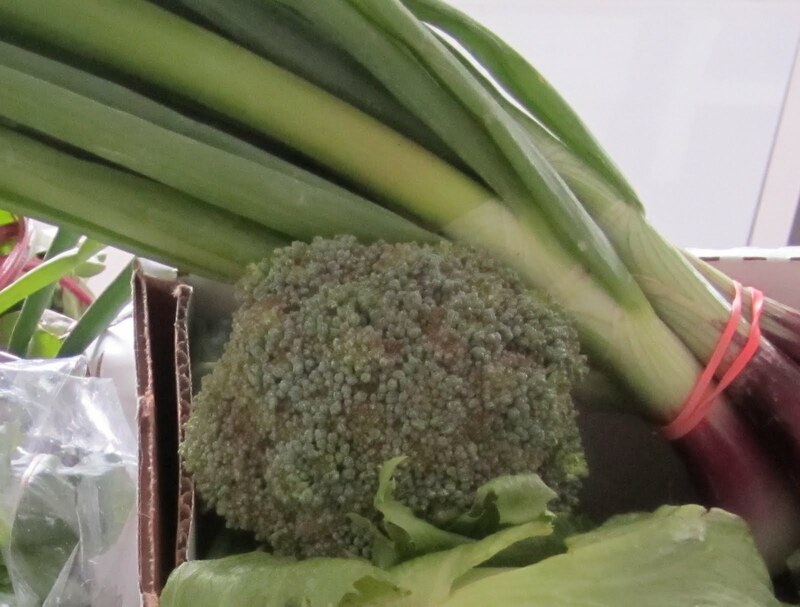 Chop the remaining broccoli stalks into small pieces and put into a steamer basket. Add 1 cup of the shredded carrots to the steamer. Stem broccoli and carrots for approx 10 minutes or until very tender. 2. After broccoli and carrots are tender, put both into a food processor with up to 1/2 cup of chicken stock and puree until smooth. Set aside. 3. In a large pot, melt butter and add chopped onion and nutmeg, cook until onions are transparent. 4. Add remaining chicken stock and the can of cheese soup (if you'd rather not use the cheese soup, add extra milk and cheese later). Add the pureed carrots and broccoli. Stir to mix. 5. Add the mustard, hot paprika, oregano, basil, salt, and pepper. 6. Add remaining cup of shredded carrots and broccoli florets. Heat until bubbling and reduce heat. 7. Add the milk and shredded cheese (save some cheese to sprinkle on top of each serving). Heat for 5-10 minutes on medium-low. Add extra salt and pepper to taste. 8. Serve in soup bowls with a side of bread and sprinkle extra cheese on top of the soup. This soup tastes great the next day after flavors have had an extra chance to mix!